One of the key points to maintaining a healthy beard is to make sure that you give it a good trim every now and again. A great looking beard should be free of unsightly split ends and well kempt. 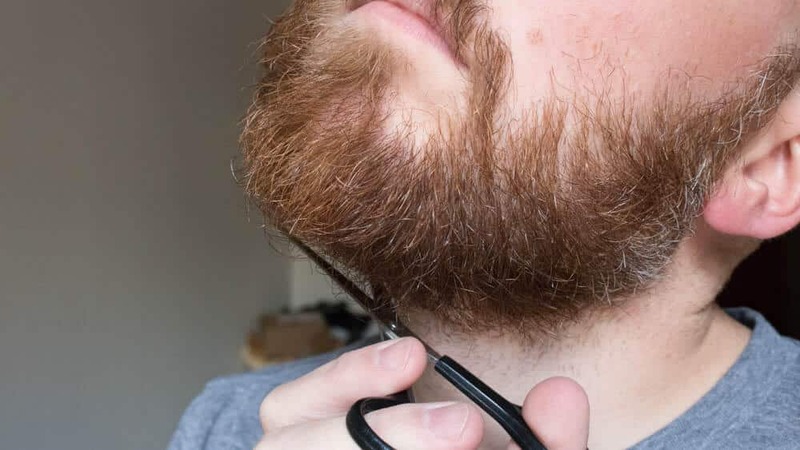 While there are several steps to maintaining a beard as we outlined in this recent post, today we are just going to concentrate on how to trim your beard with scissors. 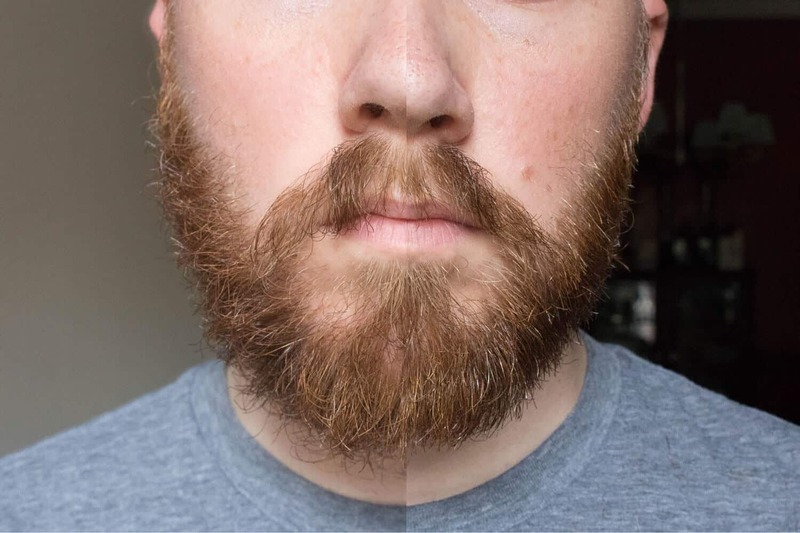 The reason why I wanted to talk about scissors specifically, is that many men don’t want to simply layout the cost for a full beard trimmer, especially if they only grow their beard on occasion. Another key point when it comes to beard trimmers in general, is that they can only cut up to a finite amount. 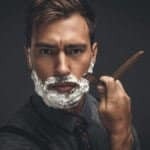 Typically even the most high end beard trimmers available today can only cut up to about 1″ in total length – which lets face it, if you are growing an epic beard (or yeard) 1″ is relatively short. 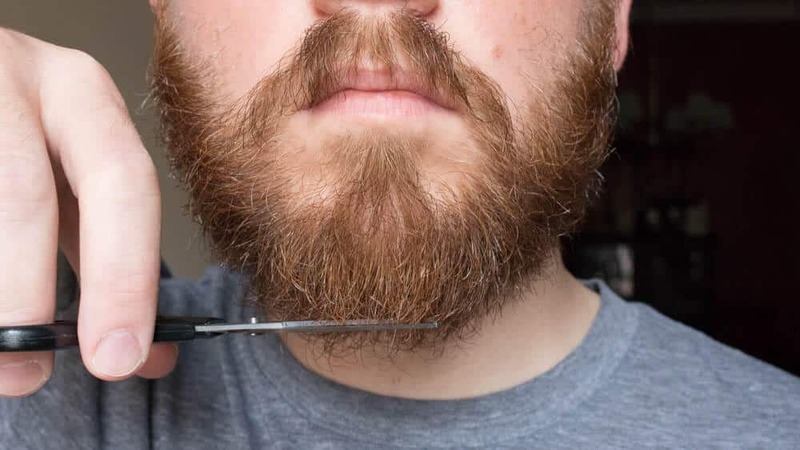 You see scissors (or oftentimes referred to as shears) not only can trim a beard at any length, but ultimately gives you much more control than a trimmer possibly can for beard lengths greater than an inch. Before a pair of scissors come in contact with your beard, its important to actually take a shower beforehand. 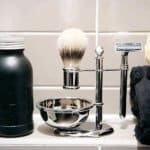 We found that when you shower prior to trimming, your beard will be free of any sort of natural pollutants that it may have trapped in throughout the day along with any product that you may have placed in it (more on this in a minute). If you use a beard balm or mustache wax on a regular basis, you will want to make sure that you do a good job washing out all of the product to ensure no beeswax remains. We highly recommend checking out a quality beard shampoo to get the job done. A beard still packed with beeswax will be tougher to ‘read’ when looking into the mirror to take the proper cuts of the beard. The last thing you want once you are done trimming your beard is a lopsided look! 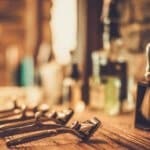 As we mentioned at the beginning of the article, if you are looking for beard growth greater than an inch, then scissors are going to be the best tool for the job. 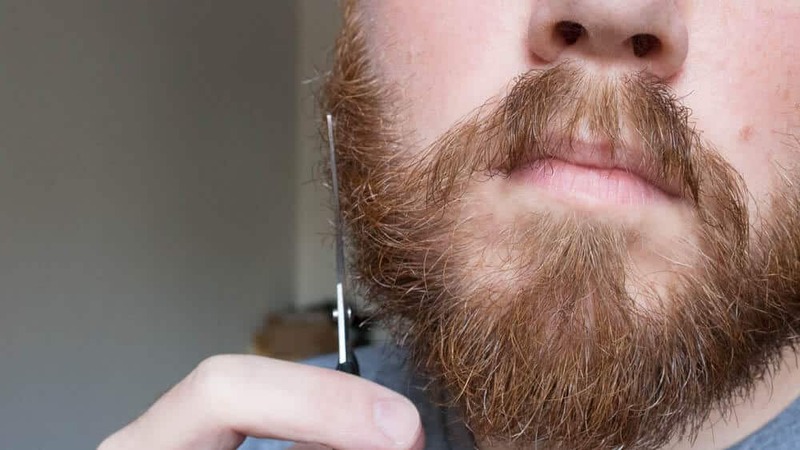 Anything that is shorter than an inch in length, a beard trimmer will be a better choice. Now as far as the quality of scissors that you should use, you shouldn’t be relying on a multi-use scissors like Fiskars or anything that your mom likely uses for cutting wrapping paper on the holidays. 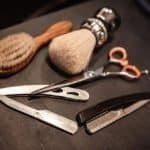 Ideally if you are picking up a set of scissors for the very first time and they are primarily going to be used on your beard then we would recommend a shorter length shear like the 5″ Suvorna or Sanguine shears. A much shorter shear will be easier to handle and control than a full sized shear that your barber may use. 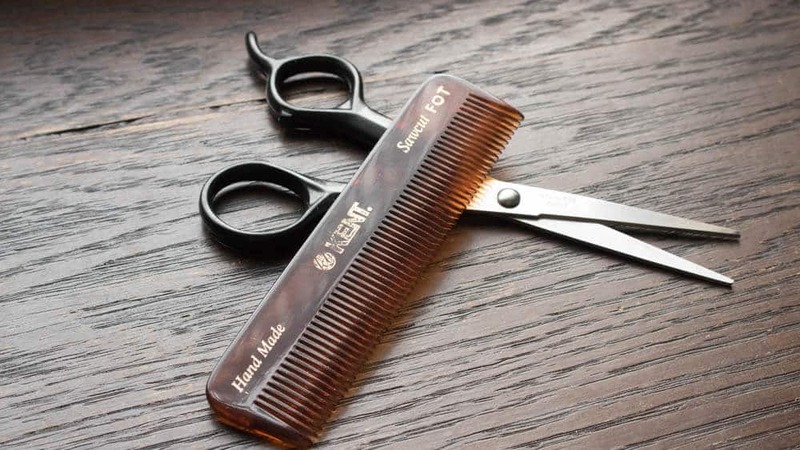 In addition to scissors, we also recommend picking up a quality comb as well. Our choice, and the most popular choice among beardsmen everywhere, is the Kent comb (it really is the best beard comb handsdown). Kent combs are great in that the width between the teeth in their combs tend to be a bit more narrow. However, most importantly Kent combs are sawcut and hand polished. This is incredibly important for a couple of reasons. First and foremost a sawcut comb, like the one that Kent offers, is incredibly sturdy and won’t be too flimsy when combing your beard. In addition, the teeth are extremely rigid and aren’t susceptible to breakage. Another important facet of a Kent comb is that its hand polished. 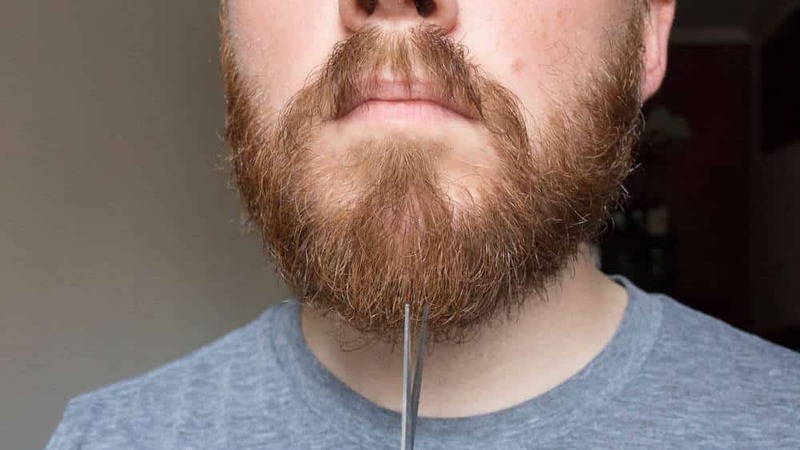 When trimming your beard with scissors, you will be constantly combing it to ensure that you get the right cut. Cheap combs that are found in drugstores are stamped out of large molds and have tiny micro-jagged edges that effectively tear at your beard follicle with every pass. When trimming your beard, the last thing you will want with a cheaper drug store comb is to have pesky split ends re-appearing shortly after your beard has been trimmed. When prepping your beard to be trimmed, its important to comb it both with and against the grain, this helps to understand how your hair has already grown in and what areas are too full and should be reduced accordingly. Once you are all set with the proper tools for cutting and have taken a shower, its now time to start trimming your beard. First and foremost, its important to have a style in mind. By and far one of the most popular styles among men is to just simply go along with your jaw line. 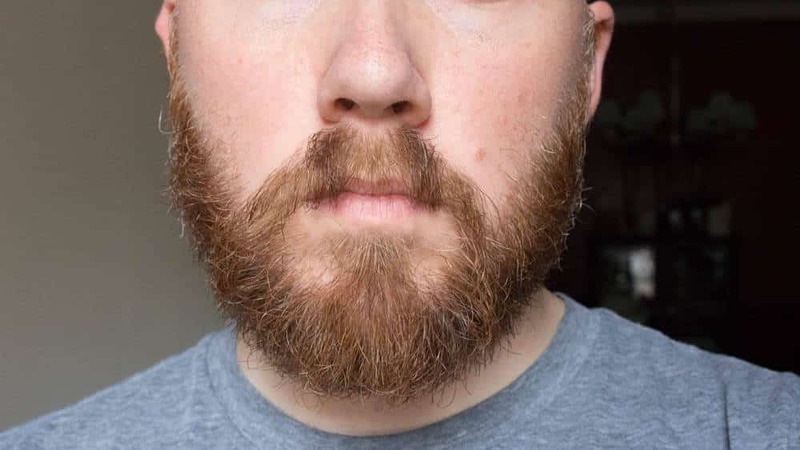 It’s typically recommended by most men when first starting out since its relatively conservative and easy to follow while you are still getting used to handling scissors for beard trimming purposes. 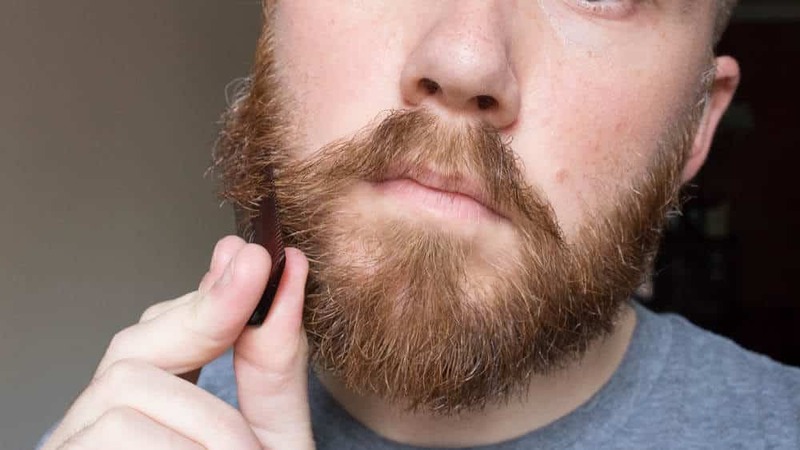 When first starting to make some cuts to your beard, we recommend starting from your chin first. This helps to dictate what the rest of your beard will look like when considering its total length. If you go for a closer beard length (think 1″), then you know that your cheeks and neck area will have to be substantially shorter than 1″. 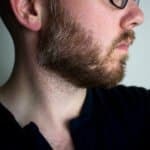 An extremely important point to take away when trimming your beard is that its not likely going to be done in just one day. 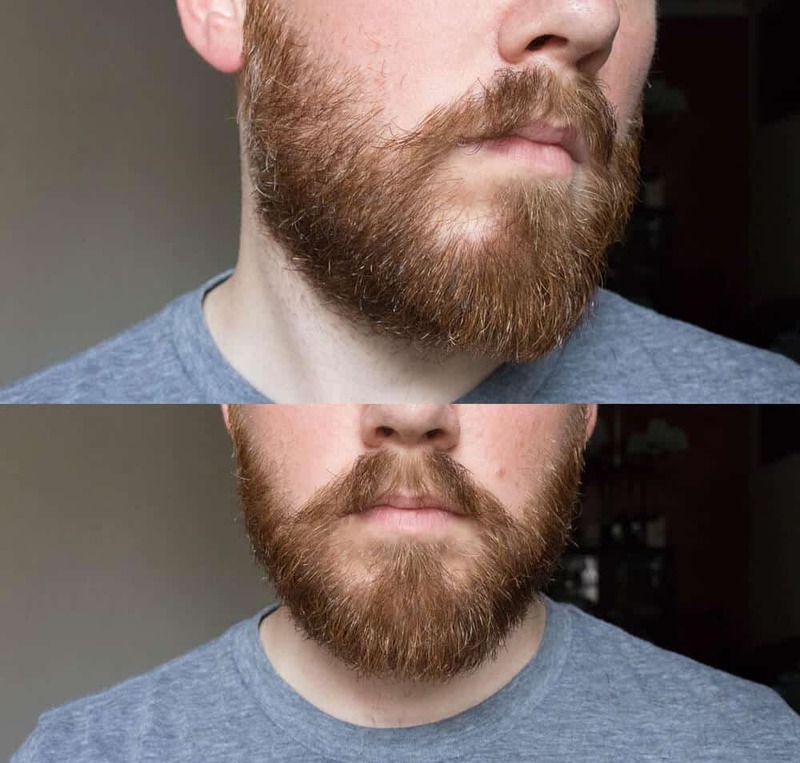 While the majority of the length may be settled after your first pass, many beardsmen (myself included) like to continuously clean up their beard once every couple of days to fine tune the shape of the beard. This is important, especially if its your first ever time trimming it. Now you of course don’t want to go to aggressive with the shears as you really only grow about .75″ a month in total, but you do always want to exercise patience and know that of course your beard will grow back with time should any mistakes occur. If there is one crime that many beardsmen make when initially growing out a beard is that they never trim the sides. When your beard grows in, it of course grows on all areas of your face at the same rate. Your chin doesn’t necessarily grow quicker while your cheeks have a slower growth – it just simply doesn’t happen that way. Therefore when a man grows out his beard and never trims it, he will have incredibly bushy sides and a jawline. If you are going for a more tapered or faded beard look, the hair on your sides will need to be scaled back significantly in order to offset the longer chin hairs. This gives a good balance to your face and will make it look much more symmetrical to your hair. In addition, the hair on your cheeks may look a bit more scraggly given their naturally tendency to grow in a down-outward direction (however we have seen this not be the case in some men). While looking at your beard in the mirror, examine the growth on the neck area. Generally speaking you don’t want to have your neck hairs ever extending past the length of your chin hairs. Having this mismatch of length will generally be conceived by others as unsightly and simply sloppy. This technique employed by barbers everywhere will help give your beard a much more natural look rather than if it were cut straight across. 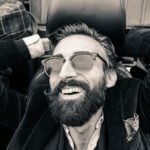 As mentioned at the beginning of this article, trimming your beard isn’t usually done in just one sitting. If its your first ever time trimming your beard, you will want to space it out over a couple of days. Doing so will allow you to fine tune your look in order to achieve just the right shape that you are aiming for. 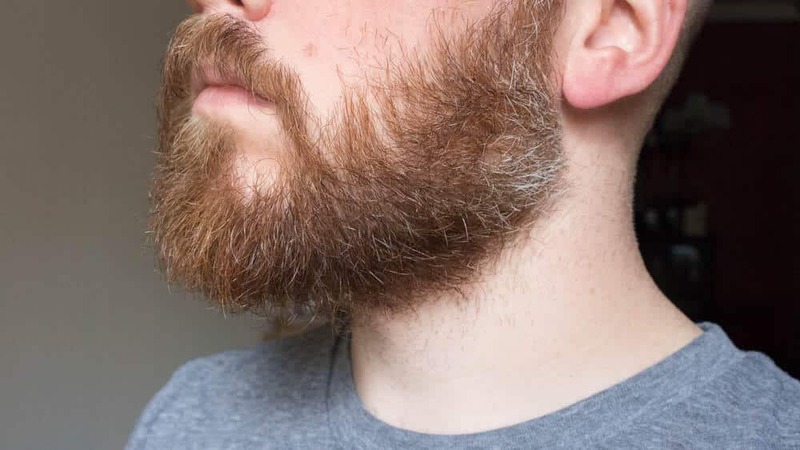 Once you get the hang of it, you will want to typically trim up your beard once every couple of weeks or even just monthly – it largely depends on the state of your beard follicles and the desired length that you want to have. When growing a beard, trimming it is only one small part of a much larger world of proper beard care. The single most important product that you should be using in tandem of growing a beard is some sort of conditioner. Largely there are two main products that can condition your beard – beard balm and beard oil. Balms and oils are largely the same regarding the conditioning ingredients that are contained within the package. Beard oils typically contain two primary ingredients – carrier and essential oils. Carrier oils are found in a plethora of beauty products. From shaving creams, lotions, shampoos, etc – carrier oils are everywhere, especially in products that are marked as organic or all natural. Common carrier oils that you will see in beard oils are jojoba, argan, grapseed, and sweet almond just to name a few. If its your first ever time picking up a beard oil, we recommend one that uses jojoba as a base since its one of the most mild carrier oils and closely mimics the natural oil that your skin produces (sebum oil). The other ingredient in beard oils is essential oils. Which largely provide the scent to the oil in a more natural way as opposed to a chemically engineered ‘fragrance’. 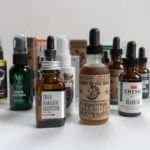 Common essential oils that you will see in beard oils will likely be tea tree, cedar wood, peppermint, and eucalyptus. However there are hundreds of essential oils out there, so don’t be surprised if you see a few that you don’t recognize. Some of the most popular beard oils tend to gravitate to more ‘manly’ smells (i.e. woods, timber, etc). But if you look around, you should be able to find citrus or floral based oils as well. Now when it comes to a beard balm, it contains both the carrier and essential oils outlined above, but also includes two extra ingredients as well – butter and wax. The butter in a beard balm is usually of the shea or cocoa variety and is an extra conditioning agent to help soften and hydrate your beard. A wax in beard balm is used as both a protectant for your skin, but most importantly to keep your wiry whiskers in check with a gentle light/medium hold. For the ultimate hold you would want to check out a mustache wax instead. Beyond balms and oils, beard shampoos are also critical to washing your beard thoroughly. Unlike the hair on the top of your head, your beard really needs sebum oil to stay hydrated and well nourished. A top-notch beard shampoo will contain natural ingredients and should be a compliment to your skin. If you are looking for a recommendation on a particular beard shampoo, then you should check out our recent post on discovering the best beard shampoos on the market. When all the right steps are taken to proper beard care, your beard will be much softer and less susceptible to split ends as well. Generally speaking, when using these products, it will give your beard a much better presentation trimming.